Kanye West just went on a six-and-a-half-minute rant on the Ellen DeGeneres show and it's every bit as awesome as it sounds. DeGeneres made the mistake (or a very clever and calculated move, depending on how you look at it) to ask West about his 'ideas'. The result is some of Kanye's best work. And this reporter is a fan of 'My Beautiful Dark Twisted Fantasy'. Some of the best bits outlined below for your convenience. But we have to place extreme emphasis on the some, because there's far too much gold. DeGeneres: You don't go 'maybe I should have thought about that a bit longer'? West: Nope, what's the point in thinking? Well, there you have it. 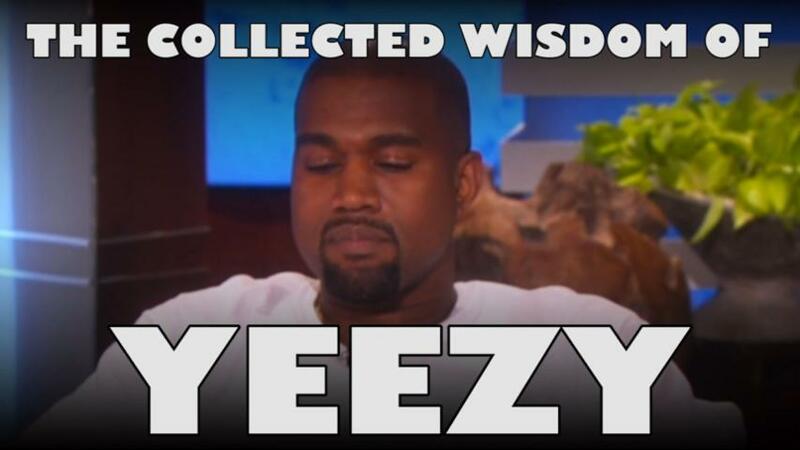 Kanye West doesn't believe in thinking. Explains a bit. "Picasso is dead. Steve Jobs is dead. Walt Disney is dead. Name somebody living that you can name in the same breath as them." "I feel that I can make a difference while I'm here. I feel that I can make things better through my skill set. I'm an artist, and I feel that I can make things better through my skill set. I'm a artist." "I called the head of Payless [ShoeSource]. I'm like, 'I want to work with you. I want to take all this information that I've learned from sitting at all these fashion shows and knocking on all these doors and buying all these expensive clothes and I want to take away bullying.' "
To be honest, there are too many gems. You need to clear your schedule for eight minutes, do yourselves a favour and watch it.